Following a months long battle in the Senate, and possibly years if you count former president Obama’s attempt to nominate Merrick Garland, Mr. Gorsuch was finally confirmed as the 9th justice on the Supreme Court. The final vote count was 54-45 (Johnny Isakson (R-GA) abstained), making the vote substantially more narrow than previous votes. 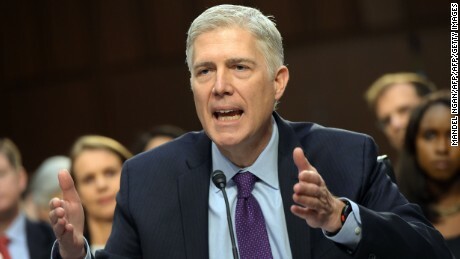 The process was perhaps most notable for the so called “nuclear option” – removing the ability to filibuster the cloture vote on a Supreme Court Justice. Cloture is distinct from the actual vote in that it is a vote to stop debate – had the democrats been able to filibuster at that point, debate would never technically end, and it would thus be impossible to fill the seat. This has huge implications for the Senate, especially concerning future Supreme Court nominations. Unless the Senate is tied 50-50 (it hasn’t been since 2000), no bipartisanship is required to confirm a justice. The problem here is bipartisanship has historically been a necessary part of operation in the Senate. This has certainly taken a backseat in recent years, due to extremism and partisanship on both sides, but even ObamaCare need some GOP votes, if only to avoid filibuster. Confirming a justice without the opportunity for the opposition to filibuster sets a bad precedent, one that could have potentially devastating consequences on bipartisanship in the Senate.